Predominantly designed for racing, the Ker 33 also offers stylish and generous accommodation below. The latest edition from the Ker-McConaghy partnership. The Ker 33 is a brand new cruiser racer designed to be hugely competitive under IRC but with the luxury of a well equipped, contemporary interior. She offers everything you would expect and more from this hugely successful pairing. 3 Boats already sold straight from the drawing board, so watch this space as the Ker 33 is set to take the 30ft market by storm. Optimised for IRC racing, the Ker 33 boasts a similar style to the Ker 40 and Ker 40 Plus with a near plumb bow, long waterline and flared stern. She also benefits from more rocker underwater and a semi-displacement hull to help reduce the wetted surface area in light winds. Aero stanchions, pushpit and pulpit, an ergonomic deck layout, straight led running rigging and performance Harken winches and Spinlock clutches are just some of the details that give the Ker 33 its pure racing spirit. Down below the Ker 33 offers three double berths, two settees in the saloon, a separate heads, nav station, galley and carbon table making the accommodation surprisingly comfortable and suitable for cruising or long distance racing. Since the release of the McConaghy Ker 40 , Sam’s attentions have been focused on managing and sailing the class in both European and UK based campaigns. 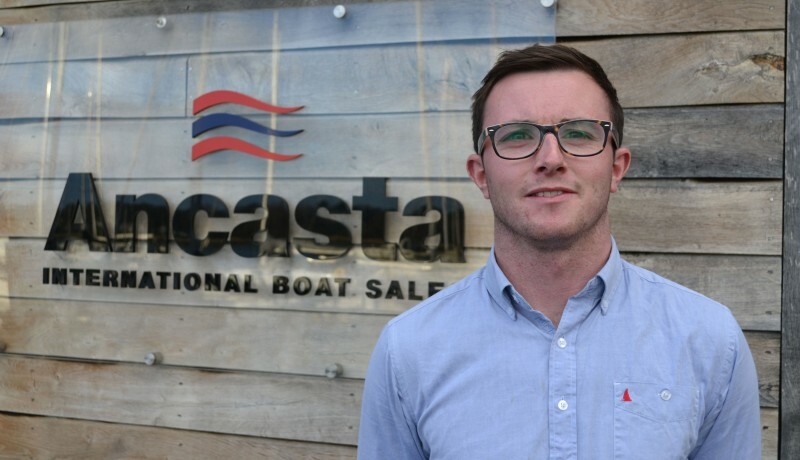 Knowing the pedigree of the Ker and McConaghy, Sam said that when the opportunity came up with Ancasta to represent this brand and their extremely impressive race boat catalogue, he immediately recognised the potential to take the Ker class and other grand prix boats to the next level of sales and service.